I don't know about you, but for a long time I associated Marks and Spencer as a shop more suited to someone my mum's age (albeit with some delicious food!). They seem to have been doing a lot of work to change this view of late, not least with their newly revamped beauty departments. M&S has now become a place that you can pop in and pick up products from brands like Phillip Kingsley, Nuxe, Diego Della Palma and of course their own Limited Collection and Autograph lines. I actually spent a good hour browsing the Bluewater beauty section with my mum not long after it launched and she virtually had to drag me away! 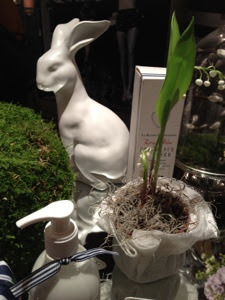 I was really excited to pop along to their Spring/Summer Beauty event earlier this week to see some of the new launches they had planned for the coming months. 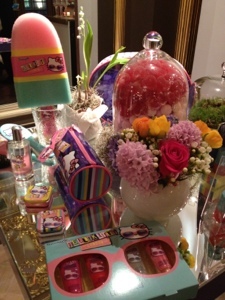 The event was lovely - there were stands set up around the room with all of the new products on, plus opportunities to decorate some cookies, get a mini manicure or make your own fragrance. 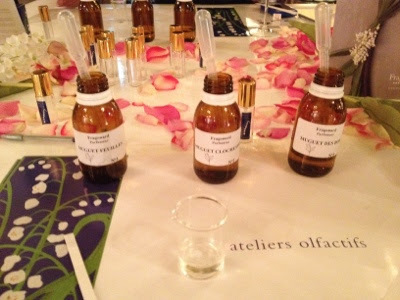 I had a go at making my own perfume with help from the team at Fragonard. It turns out scent-making is not my skill, but it was good fun nonetheless! Some of my favourite things that I spotted from the upcoming collections were a set of pink bristled travel brushes from the Limited Collection, an Autograph eye palette with some stunning colours, and of course, REN! 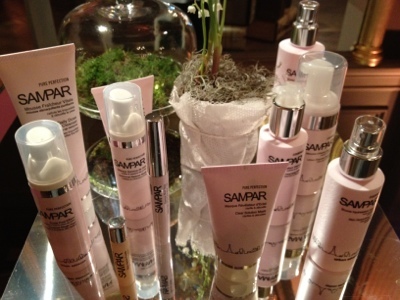 M&S have started selling REN products in some of their larger stores, so you can imagine how pleased I am! 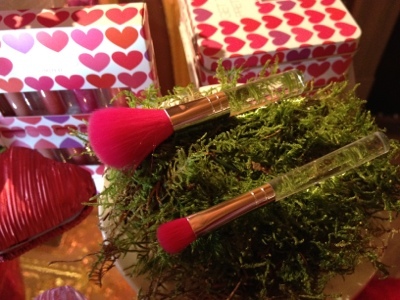 How can you not love a pink brush?! 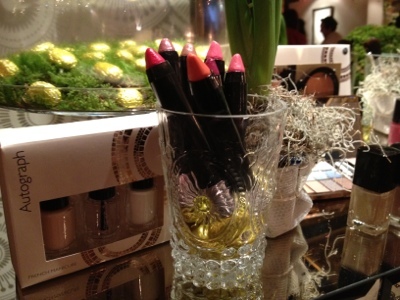 I want ALL of these lip crayons! 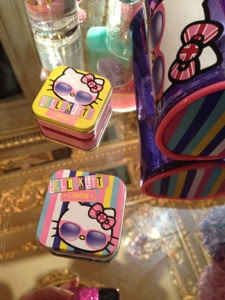 Hello Kitty lip gloss tins - how cute!! All in all, I'm really impressed with the offerings coming from M&S Beauty. 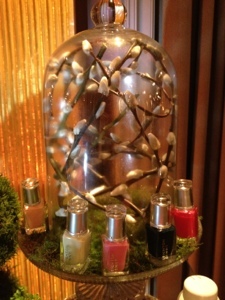 They've certainly made it into my 'beauty shops to visit' list! What are your thoughts on the new collections? Ooo this is interesting, seems like they've got a lot of brands that aren't normally so accessible. 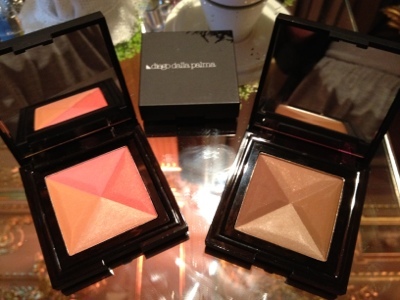 Their Autograph palette looks a lot like the Urban Decay Naked palette too! I thought that too - i expect the palette will be very popular! I know - they are really making some fab stuff! 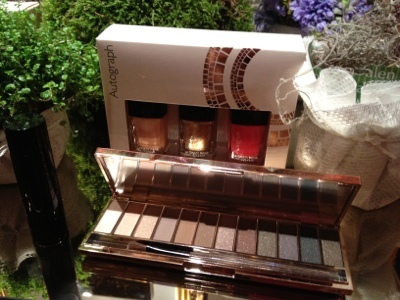 The big palette looks similar to the Naked Palette - but with more shimmer! i love the look of the palette!